If you were to pick the Finnish junior national team to win a medal at this year’s World Junior Hockey Championships in Malmo, Sweden, it would probably be viewed as a bold pick. However, if that prediction was for them to win the Gold Medal, you would probably be viewed as someone who had completely lost their mind. Nevertheless, it was the all-mighty Suomi who won the tournament for the first time since 1998 with a dramatic 3-2 overtime win over hosts Sweden on Sunday, which also earned Finland their first medal of any kind since 2006. After finishing seventh in last year’s tournament (which was the same spot that the United States placed during the 2012 tournament in Alberta before bouncing back to win it all in Ufa, Russia last winter), there wasn’t really a ton expected from the Finns this time around, especially since guys like Alex Barkov and Olli Maatta were now playing in the NHL. However, after knocking off the Russians in the round-robin to set up a second place finish in Group B, and coming from behind to defeat the Czech Republic in the quarter-finals, people began to notice that the Finnish team was one that might make some noise. With Teuvo Teravainen making magic up front, and Juuse Saros having a breakout performance in goal, the Finns continued their momentum by routing Canada 5-1 in the semis, which set the stage for Rasmus Ristolainen’s overtime winner against Sweden a day later, forcing yours truly into a state of delirium. You see, even though I am Canadian, my Dad’s side of the family is originally from Finland, and I have always had a soft place in my heart for the Motherland when it comes to international hockey tournaments. 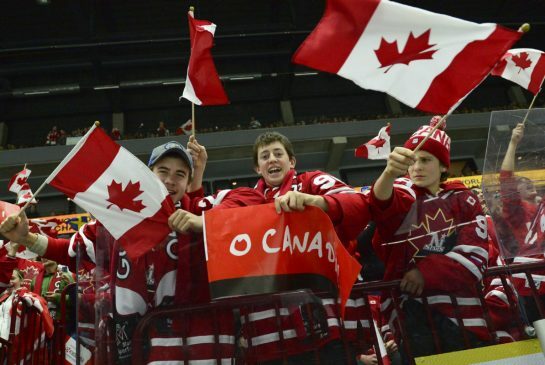 While my actual birth country was winning five WJC tournaments in a row, I wasn’t having as much fun going through the same old routine as a fan over and over. Okay, that probably sounds bizarre, but I was a Boston Red Sox supporter from about 2005-2007 when I first got into baseball, but when they turned into Yankees Northeast, I switched my allegiances to the then lowly Tampa Bay Devils Rays. So while I want Canada to obviously do well, more of my support has gone towards Finland in the last couple of years, and while the losses of the country that I actually call home over the last few years have stung, the late collapses that The Motherland had in 2011 to Russia in the quarter-finals and to Sweden in the 2012 semis had me more upset. As such, when Finland was playing in Canada in the semis, I was expecting things to go wrong for the mighty Suomi. But when they blew them out of the water, I was pretty much beside myself, though I was expecting that things wouldn’t continue against the Swedes. So when Ristolainen’s golden goal occurred, I uttered out loud ‘Oh my god!’ in a state of disbelief. This wasn’t supposed to happen at all, but The Malmo Miracle actually occurred, and I was pretty much over the moon. Does this mean I’m no longer cheering for Canada? Hardly, especially when the Olympics roll around. 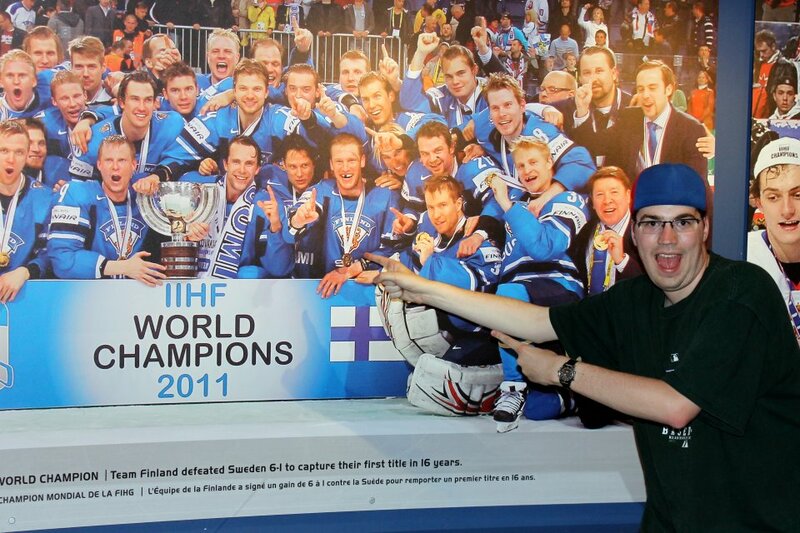 But I noticed that I was more excited for Finland’s gold medal triumph than any of the five straight that Canada had from 2005-2009, so I think The Motherland is quickly becoming my go-to nation when it comes to the World Juniors. In Brazil, the 1982 World Cup team is considered one of the most remembered soccer squads in the country’s history. Despite the fact they went out in the second round group stage to Italy, and the country won soccer’s biggest trophy in 1994 and 2002, their style of play has made them one of the most celebrated teams of all time. While the history books will show that Sweden won the gold medal for the first time in 31 years with an overtime goal by Mika Zibanejad in 2012, the silver medal winners from this year’s tournament will probably be viewed as one of the best squads the country has ever produced. With nearly half of the team returning from a year ago, the hosts were considered the odds-on favourite heading into the tournament, and they failed to disappoint as their well-rounded roster had an easy time with nearly everyone. 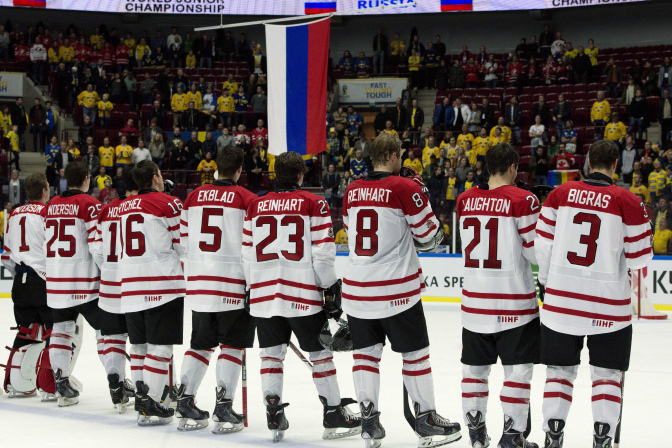 They also won the close games when they needed to, as they prevailed in two awesome encounters against the Russians in what has become the must-see matchup for me at the World Juniors since 2011. With a well-balanced offensive attack, led by tournament MVP Filip Forsberg, and Erie Otters netminder Oscar Dansk standing tall in goal, a gold medal seemed like a given. But instead it was their arch-rivals taking home the trophy, and the home country supporters in the stands were left wondering what happened. In the end, I think Sweden ran into a team that went on one of the best runs in recent memory in the medal round. If the two teams were to play ten times, I would suspect that Sweden would over Finland eight of the contests. But as is often the case, these games aren’t decided on paper. For the second straight year, the Russians earned the bronze medal, with all-world goaltender Andrei Vasilevski leading the way. Though Finland’s Juuse Saros was named to the tournament’s all-star team, and Oscar Dansk of Sweden won the event’s best goalie award, the Tampa Bay Lightning prospect was in my opinion the finest netminder in this year’s tournament. Since this was his third appearance at the World Juniors, Vasilevski was a seasoned veteran out there, and it showed with his performances. He kept the Russians in the game at times, was nearly impossible to score on during a few contests, and he made the play of the tournament in the round-robin game against Sweden on New Year’s Eve (go to the 3:02 mark of this clip). All of this made me wish that the Mississauga Steelheads would actually bring this great netminder in to help them in the Eastern Conference playoff race in the OHL this winter. But alas, CHL commissioner David Branch has decided that banning import goalies is the way to go. Ugh. Once again, Canada fell victim to the Russians in the bronze medal game, and for the first time since the early 1980’s, the most successful team in World Junior history has failed to medal in back-to-back tournaments. This has led to all sorts of conjecture as to why this happened once again. From a different selection camp process (this year’s camp was much smaller than year’s past), certain players not being invited (such as Darnell Nurse and Max Domi), the “Canadian goaltender crisis” storyline (even though Zach Fucale played well after taking over for Jake Paterson), their overall mental state (as suggested by Bob McKenzie on TSN), to the development of Canadian players in minor hockey (which head coach Brent Sutter mentioned in an interview with Sunaya Sapurji of Yahoo after the game), the debate rages. Though I agree with some on the roster selection for this year’s lineup (Seriously, Chris Bigras went over Darnell Nurse? ), my theory on Canada’s recent issues is the fact that they are no longer feared by the other teams. Like Tiger Woods during his major victories in golf, Canada would take what other teams had to offer and knock them off. 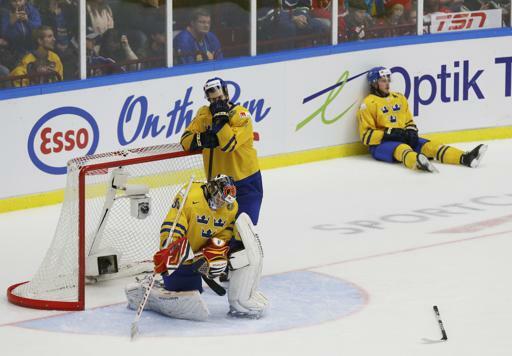 Whether it was a shootout with the United States in 2007, an overtime thriller over Sweden in 2008, or Jordan Eberle’s late-game heroics in 2009 against Russia, the kings of the tournament were still on their throne after having everything thrown at them. But after losing the gold medal game in overtime to the United States in 2010, and coughing up a 3-0 lead in the third period of the finals to Russia a year later, the aura of invincibility was no longer around the Canadian squad, just like what happened to Woods after he lost to Y.E. Yang at the 2009 PGA Championship. With three straight semi-final losses, and two of them in blowout fashion, there will be a lot of people saying that Canada is in massive trouble at this event. But the last I checked, this wasn’t a loss in a seventh place game to Kazakhstan like what happened in 1998, so things should be just fine. 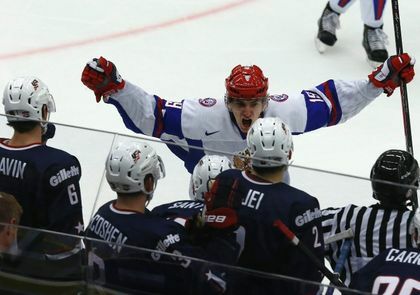 In a tournament such as the World Juniors, one result can change everything, which is what ended up happening for the defending champions from the United States. Though this year’s squad was missing players such as John Gibson, Seth Jones, and Alex Galchenyuk, the Americans were 3-0 and on the verge of finishing in first place in Group A, before losing by a score of 3-2 in the final round-robin game to Canada. So instead of facing Switzerland in the quarter-finals, the USA players had to go against the Russians in its opening playoff game, where their first period lead disappeared with a pair of point shot blasts from Nikita Zadorov in a 5-3 loss that wrapped up with a chirp fest between the two sides. Personally speaking, while I don’t think this team was going to be a gold medal threat, the Americans probably had a legit chance to win the bronze if they had faced someones else in the quarters. But thanks to a few struggles over a five-minute span against Canada and Russia, that wasn’t the case. Elsewhere, things went pretty much according to the script, other than the Czech Republic’s upset of Canada in the round-robin. The Czechs, Slovaks, and Swiss did exactly what was expected of them, while Germany edged out Norway in the best-of-three relegation series, which I hope TSN shows someday for pure epicness. Making their return at next year’s tournament in Toronto and Montreal will be a Denmark squad that should do better than the one that took part in the 2012 tournament in Alberta. Granted, they will probably be battling Germany in the relegation playoffs, but forwards Olivier Bjorkstrand, Mads Eller and Nikolaj Ehlers should provide some offense to keep other teams honest. Germany should also be better, especially with many guys coming back. The biggest of those guys is forward Leon Draisaitl, who has been running wild for Prince Albert in the WHL this year and has a chance to be the highest draft pick in his country’s history during the NHL Draft in June. When it comes to Switzerland, Slovakia, and the Czech Republic, I expect them to be in the same places that they were this year, especially with so many guys leaving. The Swiss will have a few good players coming back on defence, but unless Benjamin Conz still has junior eligibility, I don’t think they will make into the semis. The United States will again be a medal threat in 2015, especially with three of their defenders from this year’s squad (Ian McCoshen, Michael Santini, and Will Butcher) all eligible to come back. The forward core could be really fun as well, especially with Hudson Fasching and Jack Eichel eligible to return, and guys like Taylor Cammarata and Nick Schmaltz working their way into the lineup. As always, Russia will have an awesome forward core, especially if OHL sharp-shooters Sergey Tolchinsky and Nikolay Goldobin get a look. However, with Andrei Vasilevski moving on, their goaltending might be a question mark. When it comes to the two finalists, Sweden might be the favourite once again with many of their top forwards set to return, and potential top ten NHL draft pick William Nylander more than likely joining the lineup. Meanwhile, Finland will be losing nearly all of their impact players, but Juuse Saros will be back in goal, which will make a world of difference in their quest to win a second straight title. That of course leaves us with Canada, who will not only be trying to end their recent slide in the medal rounds, but they will also be looking to win its first gold medal since 2009 in front of their own fans. As such, and at the risk of looking like a fool, I will now throw a bunch of names against a wall that I think could make up Canada’s squad when the 2015 tournament takes place in Toronto and Montreal. Well, that forward core is pretty scary looking. As long as the head coach (which I am guessing will probably by Dale Hunter of the London Knights) allows them to play to their strengths, I suspect that we could say a Canada vs. Sweden battle for gold in Toronto in the first few days of 2015. Though with a team like Finland winning this year’s event, we should expect anything and everything to happen come next holiday season.